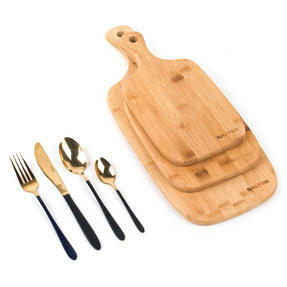 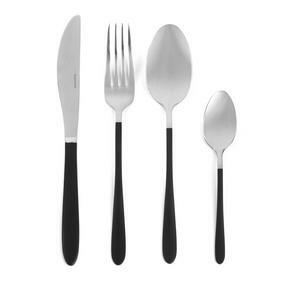 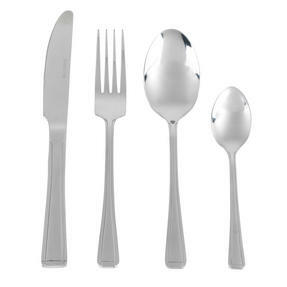 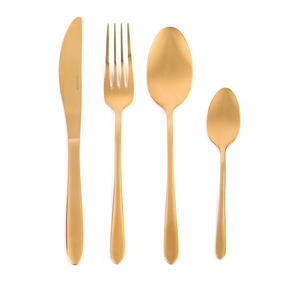 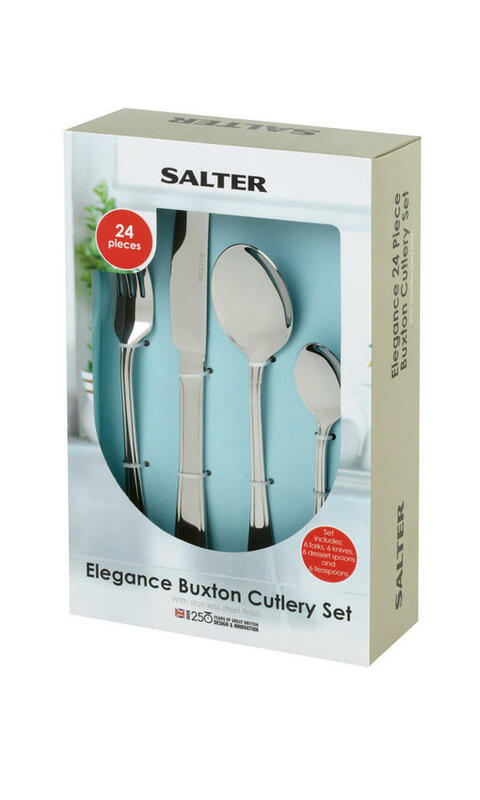 Make your table more appealing with this luxurious Salter Buxton cutlery, inspired by elegant British dining. 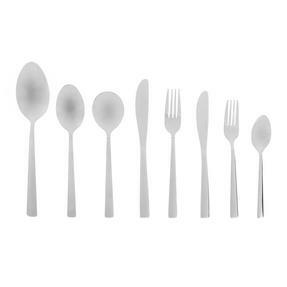 Ideal as a starter set or for refreshing your dinnerware, this 16 piece set contains 4 knives, 4 forks, 4 tablespoons and 4 teaspoons made from mirror polished stainless steel, which is guaranteed to impress your guests. 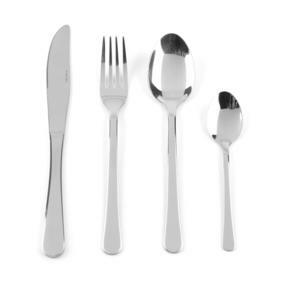 Practical and durable, this set is perfect for everyday use, while the gorgeous, classic style is sure to give your existing tableware a graceful new look.